Midfielder Ollie Banks is available for League Two Tranmere’s FA Cup third-round tie with Tottenham after recovering from injury. Luke McCullough, who is on loan from Doncaster Rovers, has also been cleared to play for Micky Mellon’s side at a sold-out Prenton Park. Tottenham’s Jan Vertonghen (thigh) and Mousa Dembele (ankle) will not feature. Midfielders Erik Lamela (illness) and Victor Wanyama (knee) are also missing for the Premier League club. Tranmere Rovers manager Micky Mellon: “We’ve had five games in 14 days which has been tough, but there’s a massive game at the end of it, and that’s Tottenham. “It’s great that you can have a group of players that were playing in the National League now playing against what the Premier League table says is the second-best team in England – it’s brilliant. Tottenham Hotspur manager Mauricio Pochettino: “It’s a positive challenge for us. “We know very well if we are not at our best then it’s going to be a very difficult game. We are going to be competitive and have a very good team. “We need to be sure we that we show our best face and that we show we’re competitive and have the right attitude. That’s going to be the key in this type of competition like the FA Cup. Friday night will be a great occasion at Tranmere, who are back in the Football League now after some tough times, and are doing well in League Two. The money Rovers will get for having this tie live on BT will be very much appreciated too and Rovers have definitely earned it after needing replays to get past Oxford City and Southport in rounds one and two. Tottenham had a bit of a scare in last year’s fourth round when they needed a replay to get past another League Two side, Newport County. This tie will also be far from easy, because Tranmere have only lost once at home this season, and they have got some goals in them from James Norwood and Connor Jennings, but I still think Spurs will edge it. 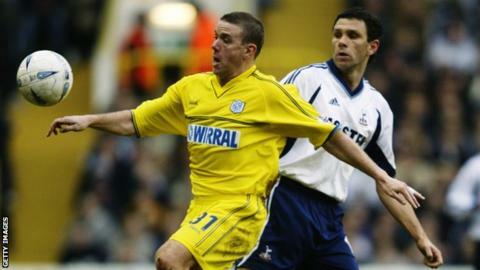 This is the first meeting between Tranmere and Tottenham in any competition since 2001-02 – Tottenham won 4-0 at Prenton Park in the League Cup third round, and 4-0 at White Hart Lane in the FA Cup fifth round. Tranmere are looking to reach the fourth round of the FA Cup for the first time since 2003-04, when they beat Premier League side Bolton in the third round. Tottenham are unbeaten against Tranmere in eight previous meetings in all competitions, knocking them out of the FA Cup in 1952-53 (9-1 in a replay) and 2001-02 (4-0). Spurs have progressed from 17 of their past 18 FA Cup ties against opponents from a lower league. The only exception in that run was a 1-2 loss at Leeds in 2012-13.